I've been in the kitchen having fun creating a new dog treat recipe for Indigo & Lily. 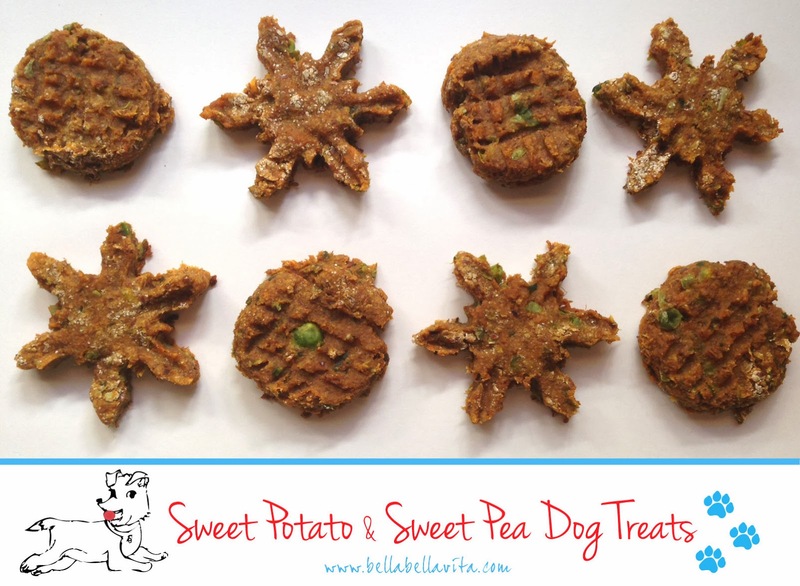 My Sweet Potato & Sweet Pea dog treats are gluten-free and packed with lots of vitamins. They are soft and chewy and it's easy to pinch off a piece if you want to use them for training. Keep in mind they have a lot of fiber in them with the sweet potatoes and flaxseed, so don't give too many at once! Be sure to also check out my other dog treat recipes, Pumpkin Oatmeal Gluten-Free Dog Treats & Carrot Ginger Oatmeal Dog Treats. 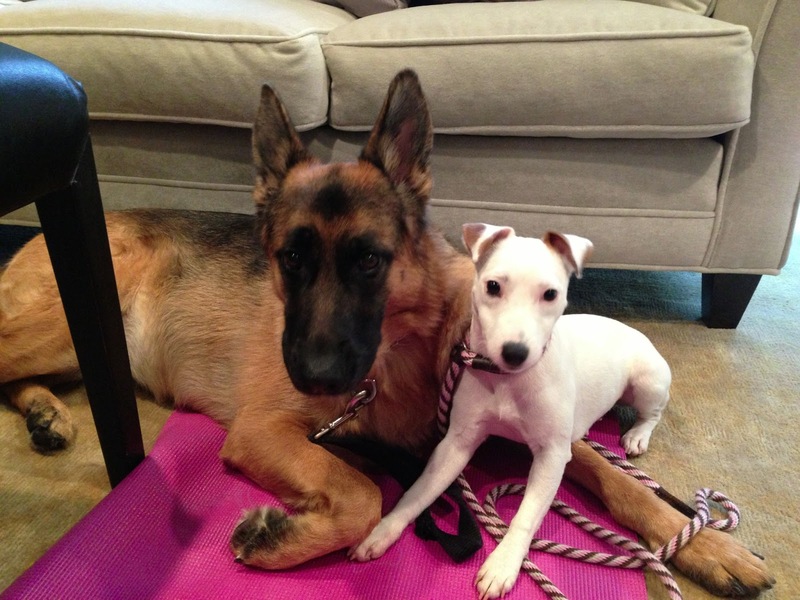 Indigo & Lily love them and I hope your pups do too! Preheat oven to 425°. Peel and dice sweet potatoes and spread in single layer on baking sheet lined with aluminum foil coated with olive oil spray. Spray diced sweet potatoes with olive oil spray and roast in the oven for 25-30 minutes until soft and cooked through. Cool completely. Purée sweet potatoes in a Cuisinart or mash by hand with a potato masher. Grind sweet peas in Cuisinart. Set aside. Mix all dry ingredients (oat flour through xanthum gum) together in a medium bowl with a whisk. Mix all wet ingredients (sweet potato through molasses) together in a separate bowl with a spatula. Add wet ingredients to dry and stir well with a spatula until mixed and a soft dough forms. Refrigerate dough for at least 30 minutes. 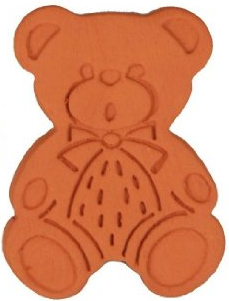 You can either roll out the dough and use cookie cutters or scoop the dough onto a baking sheet coated with cooking spray using small cookie scoop. Flatten with a wet fork. I tend to use a cookie scoop as it's faster, but now and then I use cookie cutters if I have more time. Bake 12 minutes. Cool on wire rack. Store treats in the refrigerator as there aren't any preservatives used. Treats will last up to 10 days.